Exhilarating! Physically challenging and great value for money. Have fun and also burn off 1000’s of calories at the same time. You will definitely use and improve your arm, core and leg muscles pulling yourself up on to the elements. 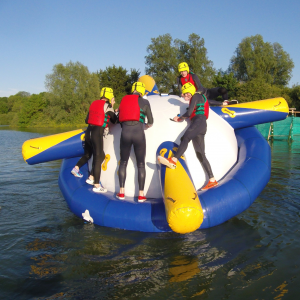 There are various ways to our Aqua Park. Please select the option below which best suits. Sessions can be booked in the following ways: as part of an activity package, as a one off session for family and friends or as part of an open pay and play session where individual or small groups can share the hour with others. Good swimming ability is essential and we recommend an age of 14 years and upwards. 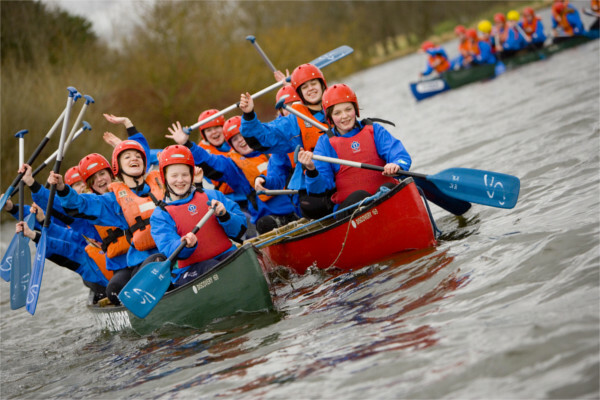 Group leaders are recommended to participate in the activity to ensure maximum enjoyment on the larger elements. 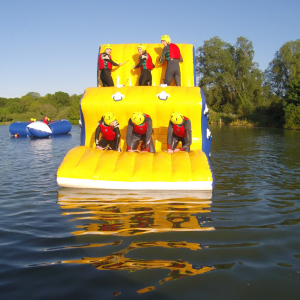 What will you need: as for all our wet activities please remember a towel, swimwear for under wet suits and a spare pair of trainers you don’t mind getting wet. 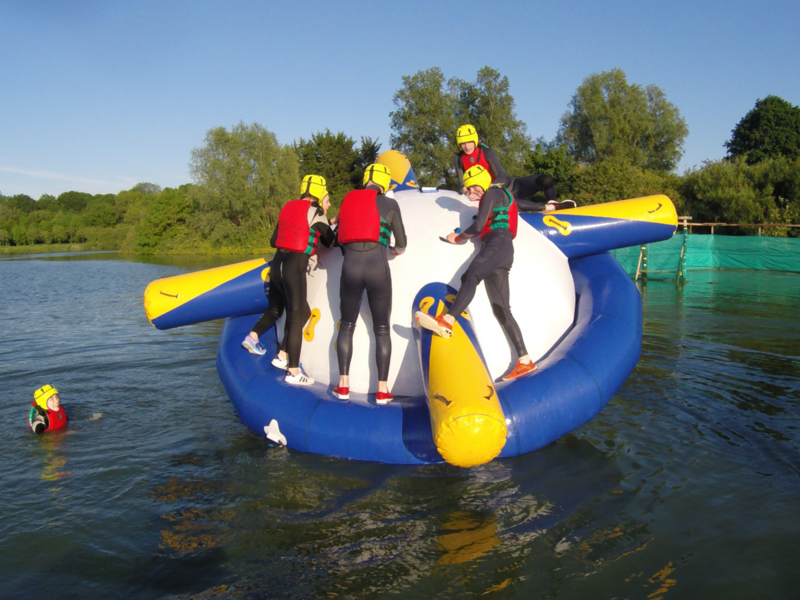 Important thing to note: the Aqua Park is subject to wind conditions, in the event of strong winds we may not be able to use the larger inflatables for safety reasons, if this does happen we will find alternative activities for you to do if this occurs. 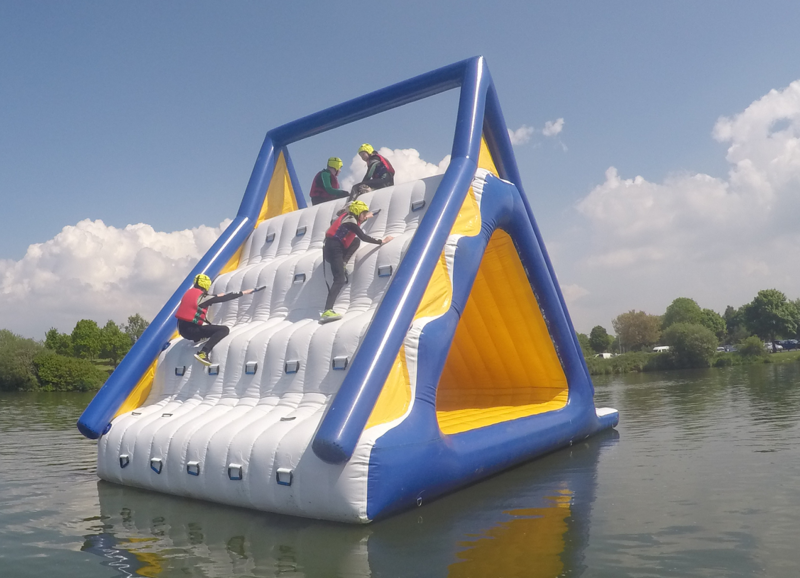 Have you ever watched those tough water challenges on television and thought, I could do that’, well now’s your chance to give it a go. 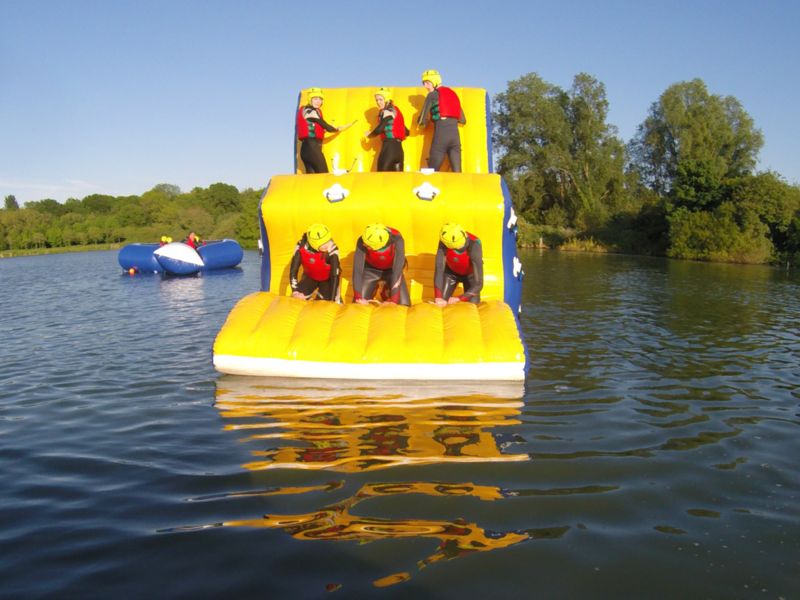 First up you need to be able to swim and up for a physical challenge. Next you will need to three people to join you in taking on the ultimate team challenge. 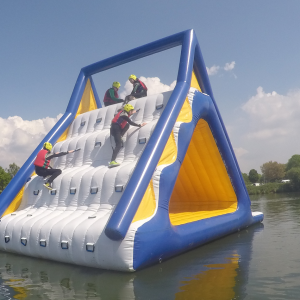 Master the Iceburg, the slide and rocker in our absurdly fun obstacle course and your team can lift the trophy. 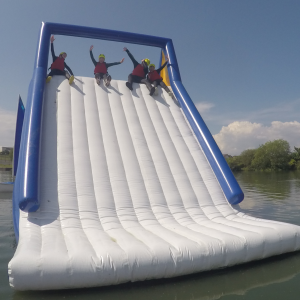 If you answered yes, now’s the time to enter to be a contestant on our newest event at Craigavon Watersports Centre. 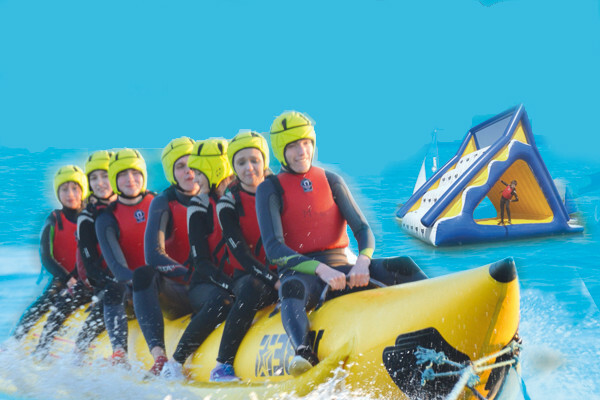 It’s sure to be a crazy and fun day which in addition to the aqua challenge your team can have a blast on the Banana Boat and refuel with a BBQ. To win the trophy the course pits teams of four competitors against the clock over an open water obstacle course, but remember the clock only stops when the whole team cross the finish line. 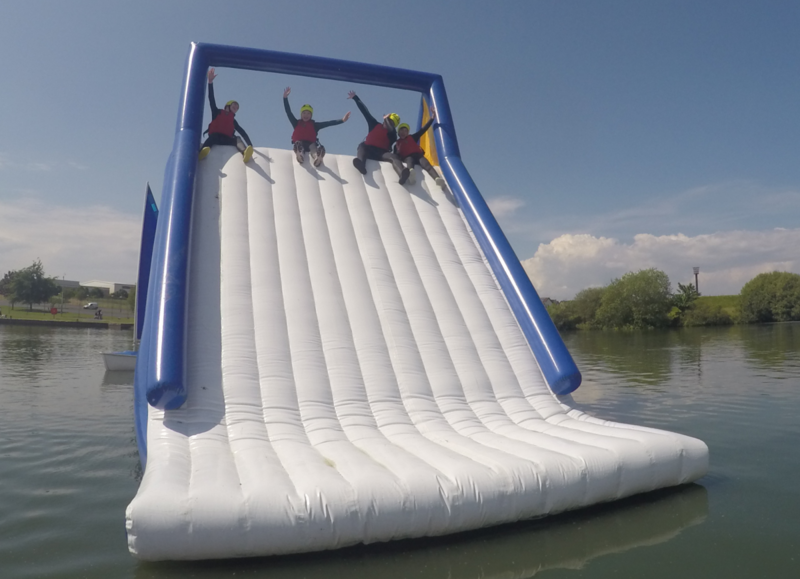 The obstacle course is 120 meters long and has around 10 obstacles. Unlike many other races the emphasis of this event is not strength, super fitness or individual speed but rather team work with of course willpower and determination. 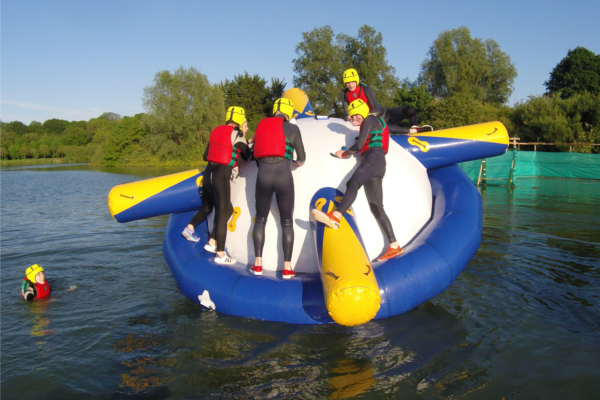 £40.00 per 4 person team, Must be 14+ and able to swim.